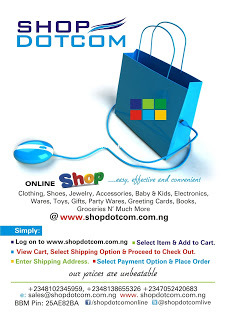 ShopDotCom is a leading international Online store. We’re a fabulous Nigeria based business that sell top quality Wholesale and Retail Products not only at the lowest prices, but also with a professional dedicated service to our valued customers from all over the world. Our goal is always to provide our customers with high quality products at competitive factory direct prices. The more you buy, the more you save! We’ve been in business since 2009 and operate from our Head Office based in Abuja, Nigeria. 2. Home based business who sell via social media, Jumia, Jiji, Ebay, Amazon, etc.